The Moto G7 launch is round the corner, with Motorola sending media invites for a launch event it will be hosting on February 7th in Brazil. 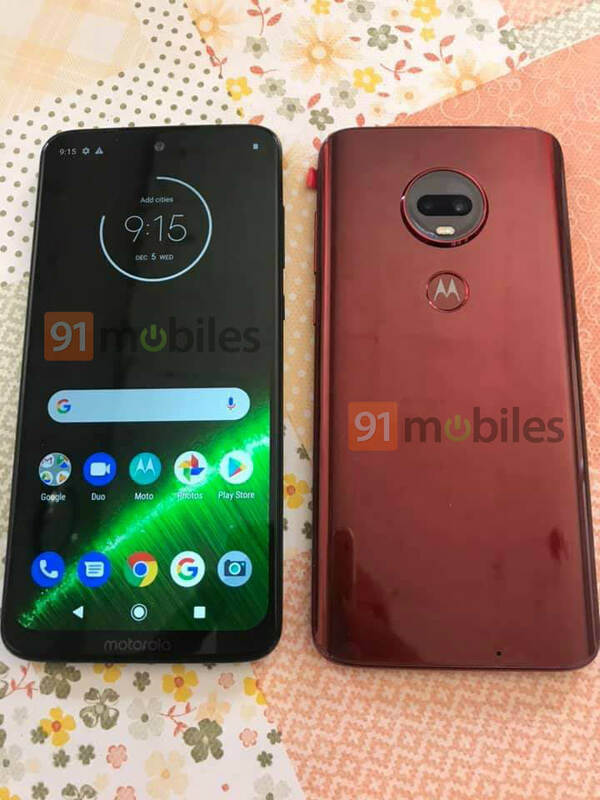 The series will see the launch of not three but four models this year — Moto G7 Play, Moto G7 Power, Moto G7, and Moto G7 Plus. 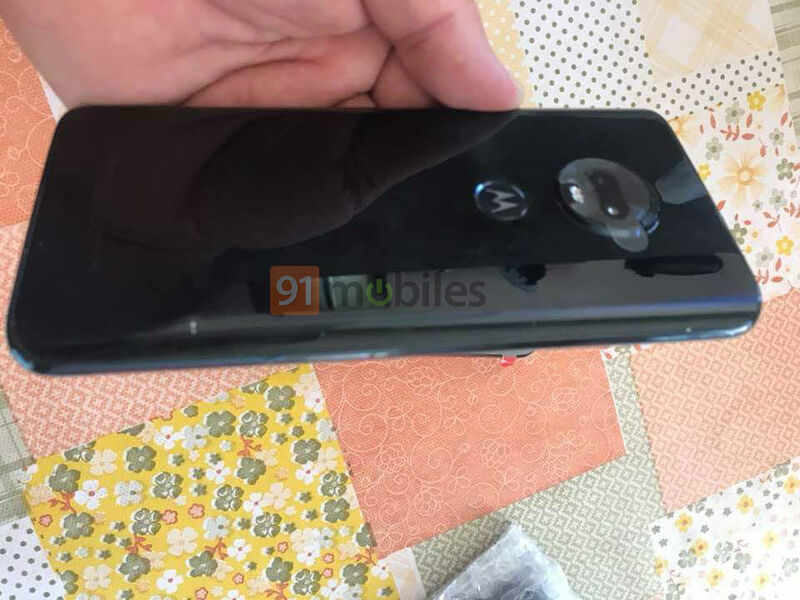 Now, a reliable source has shared exclusive live images of the Moto G7 model with 91mobiles. 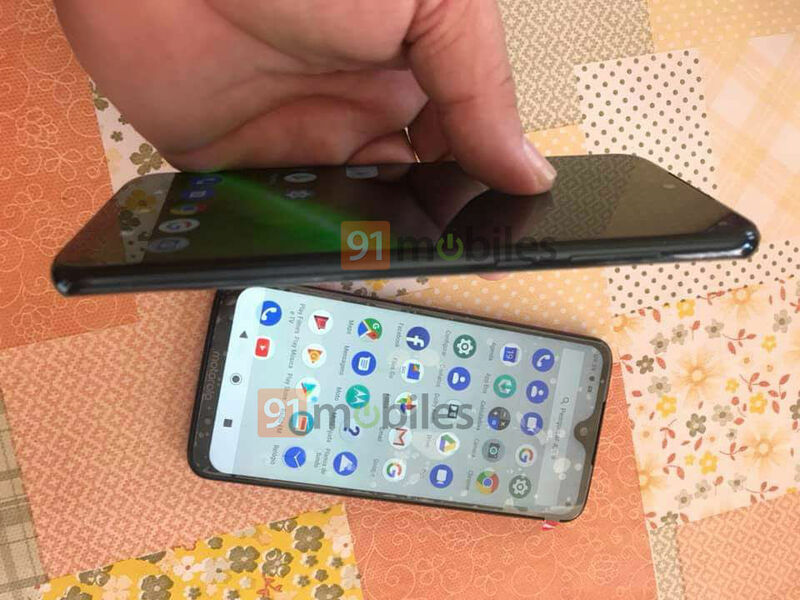 These images are the best look yet on the upcoming smartphone and come just a day after live images of the ‘Power’ variant surfaced online. 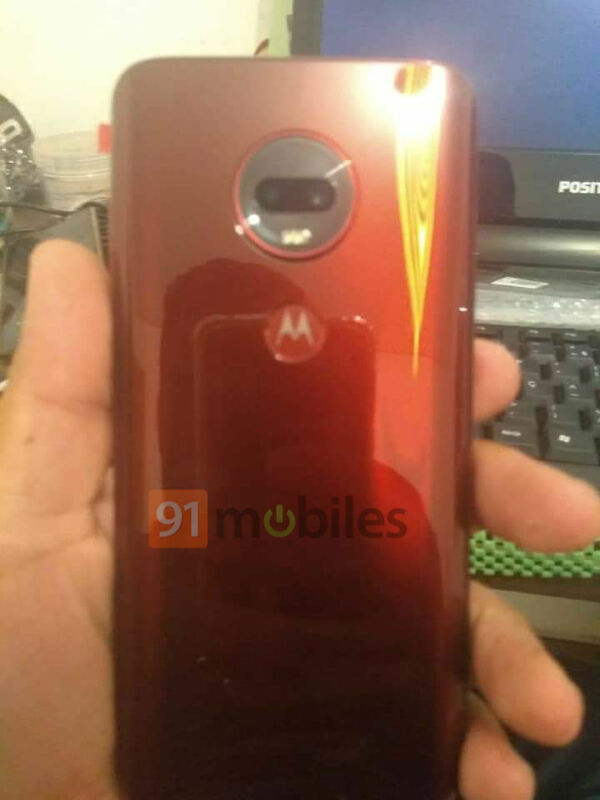 In the live images, we can see the Moto G7 in two colours, Black and Red, though more hues can be expected at the time of launch. 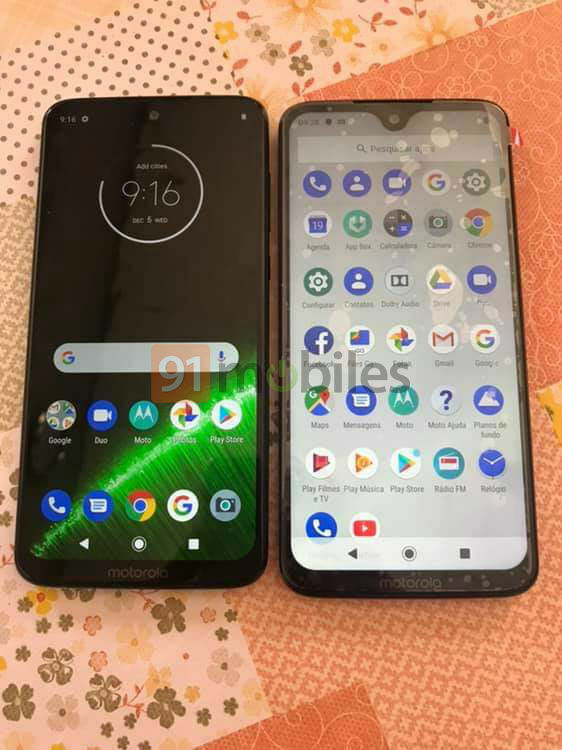 The handset can be seen with a waterdrop-style notch, a first for the brand, though we should expect a new marketing name for the notch. The bezels on the sides and the top as well as the chin are rather thick. The back panel looks familiar, with a 3D curved design on the sides and the circular camera with module with two sensors and dual LED flash on the back easily visible. The fingerprint sensor is home to the Motorola logo. The overall design is similar to the renders we have seen in the past, so there should be no surprise on the design front on the day of the launch. 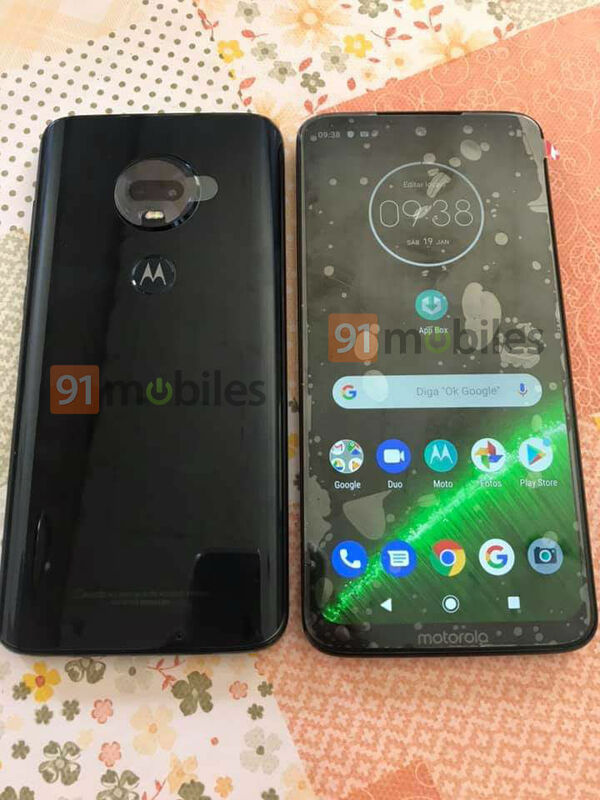 Moto G7 specifications leaked in the past point to a smartphone with Snapdragon 660 SoC, apart from the dual rear cameras and waterdrop notch. So, much remains to be known about the handset. The Moto G7 Plus model is also expected to be powered by the Snapdragon 660 SoC, while both the Play and Power variants will reportedly be powered by the Snapdragon 625 chipset. It should be noted that the latter two will feature a wide iPhone X-like notch, according to renders leaked in the past.